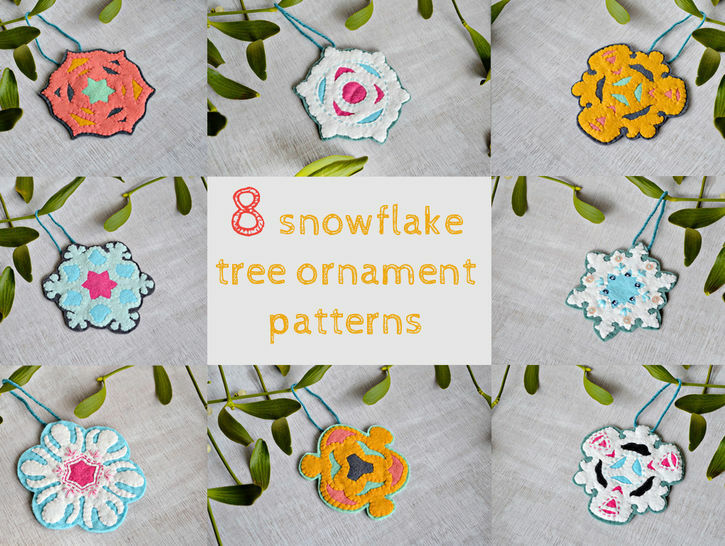 This collection of felt tree ornaments comes with 7 different patterns and 1 variation. Step-by-Step pictures and written instructions make it very easy to progress through this pattern. The ornaments range between beginner and medium level. The patterns use very basic embroidery stitches, so if you are new to embroidery don't get intimidated. The embellishments are made in running stitch for the most and for some you need to know how to do the daisy stitch which is a kind of chain stitch. You can easily omitt the embellishments if you don't feel like it!